Three months later, when interviewed in Afghanistan by ABC-TV, Bin Ladin enlarged on these themes.2 He claimed it was more important for Muslims to kill Americans than to kill other infidels. "It is far better for anyone to kill a single American soldier than to squander his efforts on other activities," he said. Asked whether he approved of terrorism and of attacks on civilians, he replied: "We believe that the worst thieves in the world today and the worst terrorists are the Americans. Nothing could stop you except perhaps retaliation in kind. We do not have to differentiate between military or civilian. As far as we are concerned, they are all targets." Plans to attack the United States were developed with unwavering single-mindedness throughout the 1990s. Bin Ladin saw himself as called "to follow in the footsteps of the Messenger and to communicate his message to all nations,"5 and to serve as the rallying point and organizer of a new kind of war to destroy America and bring the world to Islam. inveighed against the presence of U.S. troops in Saudi Arabia, the home of Islam's holiest sites. He spoke of the suffering of the Iraqi people as a result of sanctions imposed after the Gulf War, and he protested U.S. support of Israel. Many Muslims look back at the century after the revelations to the Prophet Mohammed as a golden age. Its memory is strongest among the Arabs. What happened then-the spread of Islam from the Arabian Peninsula throughout the Middle East, North Africa, and even into Europe within less than a century-seemed, and seems, miraculous.6 Nostalgia for Islam's past glory remains a powerful force. Despite his claims to universal leadership, Bin Ladin offers an extreme view of Islamic history designed to appeal mainly to Arabs and Sunnis. He draws on fundamentalists who blame the eventual destruction of the Caliphate on leaders who abandoned the pure path of religious devotion.9 He repeatedly calls on his followers to embrace martyrdom since "the walls of oppression and humiliation cannot be demolished except in a rain of bullets. "10 For those yearning for a lost sense of order in an older, more tranquil world, he offers his "Caliphate" as an imagined alternative to today's uncertainty. For others, he offers simplistic conspiracies to explain their world. Bin Ladin and al Qaeda have given answers to both these questions. To the first, they say that America had attacked Islam; America is responsible for all conflicts involving Muslims. Thus Americans are blamed when Israelis fight with Palestinians, when Russians fight with Chechens, when Indians fight with Kashmiri Muslims, and when the Philippine government fights ethnic Muslims in its southern islands. America is also held responsible for the governments of Muslim countries, derided by al Qaeda as "your agents." Bin Ladin has stated flatly, "Our fight against these governments is not separate from our fight against you. "14 These charges found a ready audience among millions of Arabs and Muslims angry at the United States because of issues ranging from Iraq to Palestine to America's support for their countries' repressive rulers. "All Americans must recognize that the face of terror is not the true face of Islam," President Bush observed. "Islam is a faith that brings comfort to a billion people around the world. It's a faith that has made brothers and sisters of every race. It's a faith based upon love, not hate. "17 Yet as political, social, and economic problems created flammable societies, Bin Ladin used Islam's most extreme, fundamentalist traditions as his match. All these elements-including religion-combined in an explosive compound. Young Muslims from around the world flocked to Afghanistan to join as volunteers in what was seen as a "holy war"-jihad-against an invader. The largest numbers came from the Middle East. Some were Saudis, and among them was Usama Bin Ladin. April 1988 brought victory for the Afghan jihad. Moscow declared it would pull its military forces out of Afghanistan within the next nine months. As the Soviets began their withdrawal, the jihad's leaders debated what to do next. By the fall of 1989, Bin Ladin had sufficient stature among Islamic extremists that a Sudanese political leader, Hassan al Turabi, urged him to transplant his whole organization to Sudan. Turabi headed the National Islamic Front in a coalition that had recently seized power in Khartoum.30 Bin Ladin agreed to help Turabi in an ongoing war against African Christian separatists in southern Sudan and also to do some road building. Turabi in return would let Bin Ladin use Sudan as a base for worldwide business operations and for preparations for jihad.31 While agents of Bin Ladin began to buy property in Sudan in 1990,32 Bin Ladin himself moved from Afghanistan back to Saudi Arabia. In August 1990, Iraq invaded Kuwait. Bin Ladin, whose efforts in Afghanistan had earned him celebrity and respect, proposed to the Saudi monarchy that he summon mujahideen for a jihad to retake Kuwait. He was rebuffed, and the Saudis joined the U.S.-led coalition. After the Saudis agreed to allow U.S. armed forces to be based in the Kingdom, Bin Ladin and a number of Islamic clerics began to publicly denounce the arrangement. The Saudi government exiled the clerics and undertook to silence Bin Ladin by, among other things, taking away his passport. With help from a dissident member of the royal family, he managed to get out of the country under the pretext of attending an Islamic gathering in Pakistan in April 1991.33 By 1994, the Saudi government would freeze his financial assets and revoke his citizenship.34 He no longer had a country he could call his own. Bin Ladin now had a vision of himself as head of an international jihad confederation. In Sudan, he established an "Islamic Army Shura" that was to serve as the coordinating body for the consortium of terrorist groups with which he was forging alliances. It was composed of his own al Qaeda Shura together with leaders or representatives of terrorist organizations that were still independent. In building this Islamic army, he enlisted groups from Saudi Arabia, Egypt, Jordan, Lebanon, Iraq, Oman, Algeria, Libya, Tunisia, Morocco, Somalia, and Eritrea. Al Qaeda also established cooperative but less formal relationships with other extremist groups from these same countries; from the African states of Chad, Mali, Niger, Nigeria, and Uganda; and from the Southeast Asian states of Burma, Thailand, Malaysia, and Indonesia. Bin Ladin maintained connections in the Bosnian conflict as well.37 The groundwork for a true global terrorist network was being laid. This pattern of expansion through building alliances extended to the United States. A Muslim organization called al Khifa had numerous branch offices, the largest of which was in the Farouq mosque in Brooklyn. In the mid1980s, it had been set up as one of the first outposts of Azzam and Bin Ladin's MAK.40 Other cities with branches of al Khifa included Atlanta, Boston, Chicago, Pittsburgh, and Tucson.41 Al Khifa recruited American Muslims to fight in Afghanistan; some of them would participate in terrorist actions in the United States in the early 1990s and in al Qaeda operations elsewhere, including the 1998 attacks on U.S. embassies in East Africa. In now analyzing the terrorist programs carried out by members of this network, it would be misleading to apply the label "al Qaeda operations" too often in these early years. Yet it would also be misleading to ignore the significance of these connections. And in this network, Bin Ladin's agenda stood out. While his allied Islamist groups were focused on local battles, such as those in Egypt, Algeria, Bosnia, or Chechnya, Bin Ladin concentrated on attacking the "far enemy"-the United States. In this period, other prominent attacks in which Bin Ladin's involvement is at best cloudy are the 1993 bombing of the World Trade Center, a plot that same year to destroy landmarks in New York, and the 1995 Manila air plot to blow up a dozen U.S. airliners over the Pacific. Details on these plots appear in chapter 3. With the Sudanese regime acting as intermediary, Bin Ladin himself met with a senior Iraqi intelligence officer in Khartoum in late 1994 or early 1995. Bin Ladin is said to have asked for space to establish training camps, as well as assistance in procuring weapons, but there is no evidence that Iraq responded to this request.55 As described below, the ensuing years saw additional efforts to establish connections. Not until 1998 did al Qaeda undertake a major terrorist operation of its own, in large part because Bin Ladin lost his base in Sudan. Ever since the Islamist regime came to power in Khartoum, the United States and other Western governments had pressed it to stop providing a haven for terrorist organizations. Other governments in the region, such as those of Egypt, Syria, Jordan, and even Libya, which were targets of some of these groups, added their own pressure. At the same time, the Sudanese regime began to change. Though Turabi had been its inspirational leader, General Omar al Bashir, president since 1989, had never been entirely under his thumb. Thus as outside pressures mounted, Bashir's supporters began to displace those of Turabi. 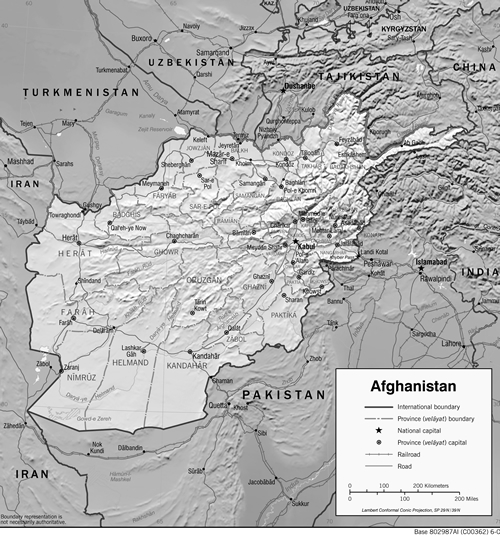 Though Bin Ladin's destination was Afghanistan, Pakistan was the nation that held the key to his ability to use Afghanistan as a base from which to revive his ambitious enterprise for war against the United States. For the first quarter century of its existence as a nation, Pakistan's identity had derived from Islam, but its politics had been decidedly secular. The army was-and remains-the country's strongest and most respected institution, and the army had been and continues to be preoccupied with its rivalry with India, especially over the disputed territory of Kashmir. The February 1998 fatwa thus seems to have been a kind of public launch of a renewed and stronger al Qaeda, after a year and a half of work. Having rebuilt his fund-raising network, Bin Ladin had again become the rich man of the jihad movement. He had maintained or restored many of his links with terrorists elsewhere in the world. And he had strengthened the internal ties in his own organization. Now effectively merged with Zawahiri's Egyptian Islamic Jihad,82 al Qaeda promised to become the general headquarters for international terrorism, without the need for the Islamic Army Shura. Bin Ladin was prepared to pick up where he had left off in Sudan. He was ready to strike at "the head of the snake." Al Qaeda's role in organizing terrorist operations had also changed. Before the move to Afghanistan, it had concentrated on providing funds, training, and weapons for actions carried out by members of allied groups. The attacks on the U.S. embassies in East Africa in the summer of 1998 would take a different form-planned, directed, and executed by al Qaeda, under the direct supervision of Bin Ladin and his chief aides. The cell in Kenya experienced a series of disruptions that may in part account for the relatively long delay before the attack was actually carried out. 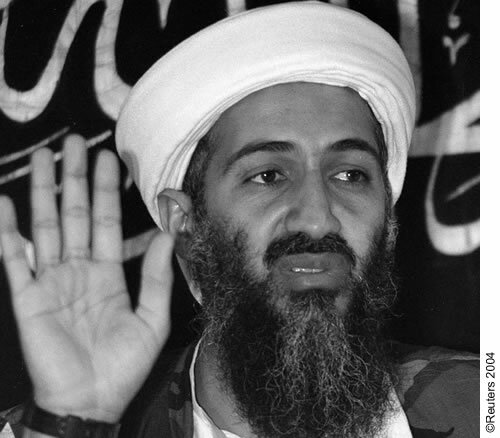 The difficulties Bin Ladin began to encounter in Sudan in 1995, his move to Afghanistan in 1996, and the months spent establishing ties with the Taliban may also have played a role, as did Banshiri's accidental drowning.